Engaging design, exceptional content, trenchant SEO – when it comes to effective marketing techniques, little has changed over the past few years. Though inbound and organic are still major buzzwords in the advertising discourse, the vocabulary has grown a little thicker. It’s time for you to boost yours. These are the new tricks, ideas, and practices for aspiring law firm marketers in 2018. Before we introduce all the advertising novelties, we need to make sure that your old strategies still work. Being a centralized hub for all of your marketing efforts, the official website of your law firm remains a foundation for you to build upon. Take some time to revisit it, and start working on improvements. In 2018, web design for lawyers will centre around four elements – stunning visuals, video content, decluttered minimalism, and mobile responsiveness. Together, these four elements contribute to both SEO and client engagement. Each in its own way, they guarantee a revamped user experience that removes all friction from the client’s journey. While stunning visuals serve to grab the visitor’s attention, simultaneously building brand awareness and presenting you as a modern-day professional, the video content is supposed to engage them deeper. The best types are therefore a mixture of educational, promotional, and entertaining material. We’ve been waiting for minimalism to go out of fashion for quite some time, but it’s now obvious that this design style is here to stay. In terms of website navigation, it’s simply the cleanest, most intuitive solution. Pair that with increased mobile use, and you understand why responsiveness is a must too. According to Forrester Research, 73% of people say that valuing their time is the single most important thing a company can do to provide them with a good service. When you’re dealing with sensitive personal or financial cases, like all law firms do, the significance of a streamlined service is even greater. Regardless of how efficient, no customer support rep can ensure 24/7 availability. Regardless of how productive, no customer support rep can handle two clients at the same time. In order to stop clients from leaving, today’s law firms need to reduce, if not eliminate, waiting times. Currently, the best practice for this comes from automation and specifically, AI. Chatbots are now inexpensive and easy to design, and can single handedly cater to the needs of multiple clients in real time. A website blog is not exactly a marketing novelty, but it’s still just as important, engaging, and lucrative as ever. It’s a great place to show off your expertise, establish yourself as a niche authority, and start building an SEO strategy. But, there’s another way to utilize the potential of your on-site content. Categorize your previously published articles in different practice areas, and add new resources to each. A basic knowledgebase tool can help you restructure previous blog posts and FAQs, and turn them into white papers, primers, and guides. With most areas of the law being so intricate and difficult to understand, your clients will appreciate having a comprehensive cheat sheet for separate legal issues. Also, establish an effective niche keyword for every practice area. Not only will this boost your SEO strategy, making your firm easier to find by clients who are looking for exactly the services you offer, but it will also allow you to localize queries and thus target specific demographics and target audiences. User-generated content is among the most powerful marketing techniques – consisting of authentic success stories and positive customer reviews, it helps companies build trust with their clientele. In the context of law firms, it builds awareness too, making your practice more relatable and trustworthy. If you have positive client reviews on your social media pages, flaunt them on your website. 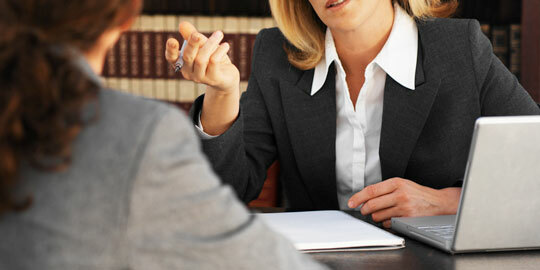 Let your attorneys do short video interviews with satisfied clients, or ask them both to write about their experiences. It’s like the best of word-of-mouth marketing, only channelled in a way you can control. It’s been a while since advertising was a set of paid practices with only a handful of mediums and a limited approach. Even inbound marketing has grown more comprehensive, now enveloping everything from email and website to social media and niche search. Why not use them all at once? Call it cross-channelling or omni-channelling, this holistic approach is possible only with great content and a trusty tool. Marketing automation software will enable you to build different campaigns on different channels, and put their launching and performance tracking on autopilot. Enhance your targeting, determine where your audience spends its time, and choose at least two or three channels. With new and powerful business technology emerging behind every corner, the opportunities for successful law firm marketing are this year as numerous as they are effective. Revamp your website, employ a chatbot, create self-service content, leverage client reviews, and do all that across different channels. Automate for faster results, and watch as you law firm approaches new heights.